How Do Emeryville's Municipal Neighbors Inform Their Citizens? know what their government is doing. The City of Emeryville has received many criticisms over the years from residents wanting more transparency from City Hall. Infamously, developers with pending projects, large corporations in town and others among the politically connected have traditionally found a welcoming City Manager's office for private closed door planning sessions. 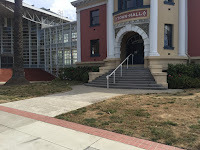 After last November's progressive sweep in the City Council elections, there has been a move to upset this convenient and discreet access for the powerful at City Hall in Emeryville. 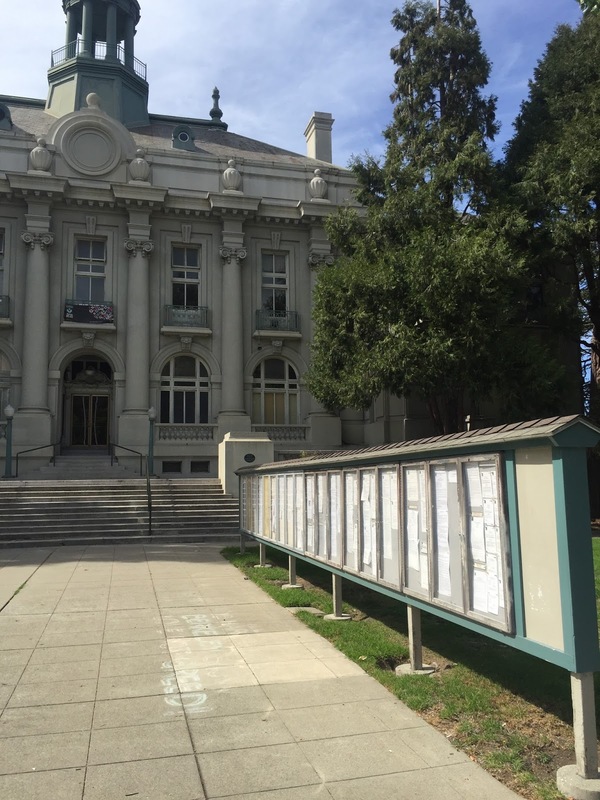 Here's something else that could be done to give residents more power and increase citizen engagement: post notices about public meetings and other community interest information in front of City Hall, just like real cities do. How about it Emeryville City Hall? Is this idea dangerous? 30 linear feet of transparency. how democracy works, says Berkeley. No need to post anything for the public. home and watch TV or something'. After a generation of taking anything and everything from every developer who wished to make a buck off our town, Emeryville is finally in an inarguable position now to demand better development. 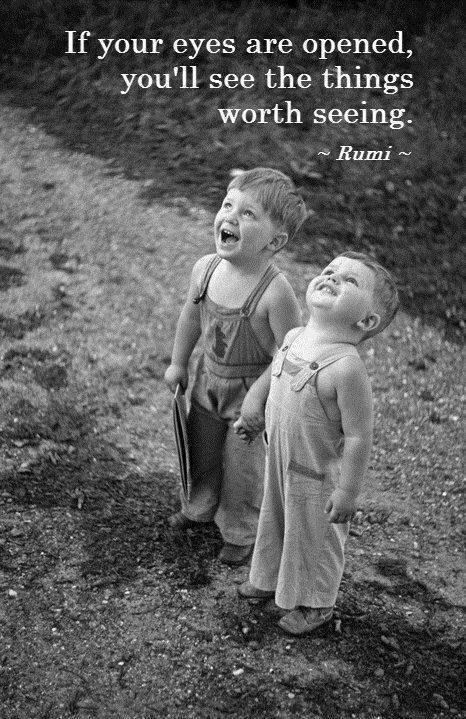 And we can easily get it. Emeryville doesn't need any more market rate housing. Emeryville doesn't get any positive revenue from housing. Got that? These two points aren't a matter of someone's opinion even though that word precedes them in this story. These two points are factual and they assertively inform us through hyperbolic debate frames rising up from interested parties of the ideological sort as well as those who would materially benefit. Once people realize the prophetic exigency of these two points, how we finish the job of developing our town becomes a lot clearer. Emeryville is in an enviable position with regards to development. Due to forces in our control and those out of our control, we're at a powerful place where we can call the shots; we can rationally say NO to flawed development, starting now. The last City Council election with its progressive sweep and the rise of a newly enlightened electorate has something to do with this fortunate position we find ourselves in, of course, but in addition it has to do with the extremely limited supply of large scale development properties left in our town and the incredibly valuable geographic location of Emeryville that only gets more valuable over time. But more pressing than those extant and compelling realities, our new power position has to do with our over the top, nay epic RHNA numbers. Twice as big as we need. RHNA or Regional Housing Needs Assessment (pronounced reena) is a housing data compilation of the whole Bay Area produced by a consortium of local governments meant to mete out each municipality's work load share of the goal of providing a jobs/housing parity. The state mandated idea is each city should carry its weight as far as providing enough housing for the entire region. Emeryville was given a specific housing goal by this consortium (known as Association of Bay Area Governments ABAG). Due to Emeryville's huge housing boom over the last 20 years, we not only met our ABAG goal, we smashed the goal. We actually doubled the market rate housing goal, Emeryville's built market rate housing right now is more than 200% of what RHNA suggests. At this point, nobody can claim with a straight face Emeryville needs to build more market rate housing, that we're somehow derelict in our duty. If we do approve more housing projects moving forward, it can and should be only those that improve the livability of our town. We've already more than done our regional market rate housing duty. Emeryville's 'double RHNA' numbers have the effect of punching a huge hole in the 'supply and demand' argument that's always proffered by developers. They use that argument to shame municipalities into approving housing projects they want to build. Some places, they would have a point. Not here. Everybody knows the argument; if we increase the housing supply, the housing demand goes down and so do the prices. Except here in Emeryville we've doubled RHNA and the housing prices still keep going up, especially rentals. That's because all the developers are really interested in is maximizing their profits and thus, all they're interested in building (and all we've been getting) are $2500 per month one bedroom luxury apartments. As shocking as it is, this shouldn't come as a shock. The idea that a developer (or indeed any business owner) might lie to protect his profits should be seen as a given...especially since there's no down side to lying, no penalty. And so that's what we get from them generally. With the supply and demand canard off the table, there's really no cogent reason developers can offer as to why we should accept a flawed housing project. Some apologists will fatuously claim housing development adds to the City's tax base, but that's a lie too; Emeryville actually loses money (a little) off residential projects. Residents use more in services than they pay in. City Hall gets its revenue from businesses, not residents. These points are measurable. We say every developer's project proposal must demonstrably improve (or least not make worse), the existing ratios we have in these four categories. These should be the starting point for any residential project. Otherwise, the default position should be no development at all. Right now, we have an intensively developed town with a lot of density and a lot of commercial revenue shared by our existing population. If we stay as we are, we're fine. Unlike our neighbors who haven't met their RHNA goals, we don't need to take on more market rate residential development. The residential developers may be salivating at our remaining three or four fallow patches of land with their boatloads of potential profit but we could retain the status quo; keep a couple of patches of our town fallow for future consideration (a future park perhaps? ), and we'll be OK.
Or we could allow more development...a new kind of development we haven't demanded or gotten up until now; development that demonstrably improves our town. Emeryville has always had naysayers in our midsts. There's always been those who loudly claim we're no good, terrible really and we must let the developers have what they want because we don't rate anything better. Indeed, before last November, the City Council majority itself said as much ad infinitum over the years. There are plenty of regular residents still saying it now. Somehow, these Chicken Littles see these last pieces of fallow land left as an emergency; a gap that must be filled with whatever the developers want. No time to waste they're saying, we must defer to the developers now. Or maybe they'll bide their time: we expect the naysayers to try to retake the City Council majority next year with lots of hidden campaign donations from developers. But in the meanwhile, next time you hear the old 'supply and demand' con, remember our epic RHNA numbers. Next time you hear them try to frame the debate in terms of development being a given, remember we don't increase our revenue from residential projects. For more than 15 years, Emeryville's Bike Committee has been clamoring for traffic calming for Horton Street, Emeryville's premier north/south bike commuting corridor. Using what leverage they had, the Committee forced the previous City Council majority's hand and a new document, the Bike Plan was commissioned and certified to the tune of $200,000 in 2012 after two years of study. The Plan, officially part of Emeryville's General Plan, also called for traffic calming just as the Committee had been. We're sorry to say that's where this story ends....with a plan...on a shelf. Regular Tattler readers will attest the story of the problems this city has had bringing traffic calming to Horton Street are legendary. The problem historically was a disingenuous City Council. They would campaign for bikes at re-election time but they had no interest in following through with traffic calming for Horton Street. We thought that once the old order was broken up and a new seemingly pro-bike progressive City Council majority was elected last November, the taxpayer funded $200,000 Bike Plan would finally be taken seriously and traffic calming would finally come to Horton Street. We're sad to say we were wrong. Almost a year after the new City Council ordered the Plan be implemented, Horton Street is now no closer to getting traffic calming; not even a little. There has been no action whatsoever on this and there is no sign of any action anytime in the future. Meanwhile, bicyclists are continuing on, dangerously trying to share a street with more than 3000 vehicles per day as they have done for more than 10 years. The Progressive Council majority has not made any move to rectify the situation and they seem happy with their empty vote to implement the Plan last year. The problem now, if it even matters identifying it, is the head of the Public Works Department Maurice Kaufman. Mr Kaufman, a traffic engineer, has long said his job is to make cars move more efficiently, the antithesis of a bike boulevard with its traffic calming meant to discourage efficient vehicle use. The distance Mr Kaufman is willing to go to continue to stall Bike Plan traffic calming was revealed by the Tattler last August when we uncovered an internal document wherein Mr Kaufman lied to our new City Manager about it. As Tattler readers know, temporary bollards, glued to the street, are what's called for in the Bike Plan so the effects can be studied on reducing the traffic below 3000 per day. The Public Works Department routinely does this gluing down of bollards whenever there is a construction project and a developer needs to temporarily take a portion of a street. The problem is Mr Kaufman says he can't do that now on Horton Street for bikes as the Bike Plan directs because he maintains (without evidence) that a whole new expensive study needs to be completed. The Tattler has referred to this new study as the "study of the study"; a bogus and unnecessary time stalling tactic. So this is where we are now...waiting on the study of the study to be commissioned by the Council. We're no closer to implementing the bogus study of the study than we've ever been and there has been no action on even securing an author for it. So here we are, no closer to implementing our long overdue Bike Plan than we were with the old City Council. This new Council majority may be progressive when it comes to other things in Emeryville but as far as bike access goes, they're no better than the old right wing Council majority. We call on this majority to make your decision now: implement or rescind so we can return Horton Street back to what it was, a regular high volume busy street without the dangerous purple bike boulevard signs and stencils on the asphalt giving bicyclists a false sense of security. Council be warned however, if you move to rescind the Plan or if you stall for more time, we say Emeryville residents and regional bike commuters have waited long enough; the City of Emeryville must return the award it received for its Bike Plan in 2013 from the American Planning Association. 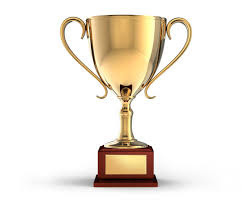 A letter should accompany the returned award saying this town doesn't like the idea of bikes on our streets. We don't have the stomach to make a place for bikes here in Emeryville. Emeryville appears never to have had any intention to implement the Plan. Time to return this to the American Planning Association. Arguably one of the most important pieces in the livability puzzle for a town is the idea that small locally serving businesses should be attracted and retained as an amenity for residents. It's a subject near and dear to almost everyone in Emeryville as revealed in many public resident surveys. That virtually everyone seems to want small locally serving business, especially retail, is equally remarkable as the fact that Emeryville always seems to be lacking in this department. City Hall (or the free market) can't seem to deliver what everyone wants; it's a conundrum and a would be untenable condition in a democratic polity such as ours. 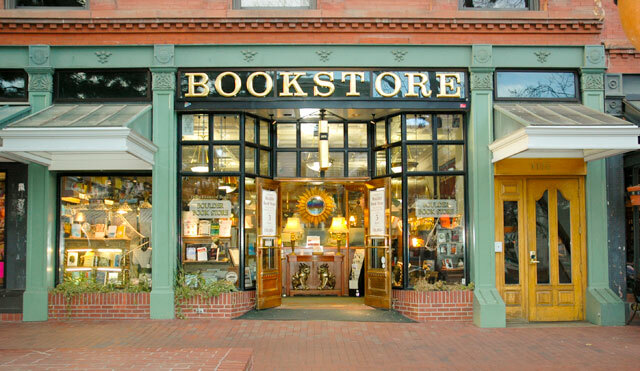 And yet still we wait for our non-formula independent bookstores or corner green grocers and the like. Meanwhile the stuff we don't want, the formula chain stores and fast food restaurants proliferate in Emeryville. What's needed is a legal contract that developers can't wriggle out of. They're the ones who should be responsible for bringing us our locally serving retail. Low slung suburban style, baking asphalt. So it is probable there are hidden reasons why residents must go on waiting to get the kind of retail they want to see. More on that later. 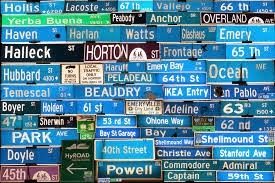 For now, let's take it as a given that people should get the town they want (as long as the law is obeyed). It should be simply a matter of creating municipal policy for us getting what we want. We'll chalk up this strange Emeryville disconnect to some kind of miscommunication for now. As the City Council argues for how to attract and retain these small businesses we want by use of the Planning Department's 'bonus point system' as they have been of late, now would be a good time to consider new more effective ways to go about this. Historically in Emeryville, City Hall offered essentially nothing by way of intervention in the development of the town in attempt to steer developers to deliver any specific kind of retail. What we got as a result is what the developers wanted to produce. 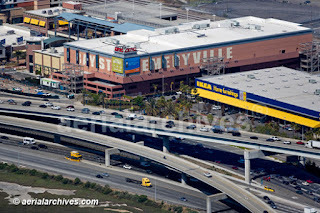 That hands off model brought to Emeryville the 1990's suburban style malls, notable at East Bay Bridge Center and the Powell Street Plaza; decidedly not what residents say they want. 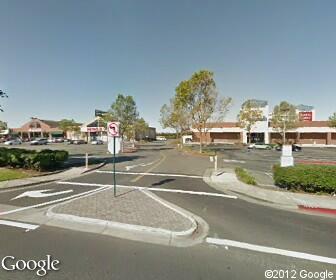 The heart of Emeryville, regional shopping center. 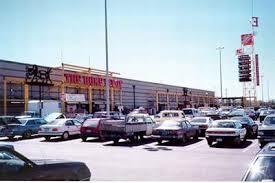 Lots of parking and lots of formula chain retail. not what Emeryville residents wanted. Later, as Emeryville land became more valuable, the Council directed the Planning Department to be more interventionist and the current 'bonus system' was invented. This new system, still hands off in its demeanor, gives developers more rights to build denser and taller (and more profitable) projects that would normally be allowed so long as they include certain things the Council says they want. In the case of their small business desires, especially in the retail field, the Council designed a fee idea where developers could pay into a small business fund at City Hall if they choose to get their bonus points. City Hall then dispersed these fund monies to small businesses in the form of the Facade Improvement Program, the Paint Program and such. The bonus system may have made Emeryville's small businesses look better but it has had little effect in achieving the desired results for attracting locally serving non formula retail as we have seen and as the Tattler has chronicled. Now, the Council is looking to upgrade the bonus system by giving developers 10 bonus points to developers for every 1% of project construction valuation up to a maximum of 50%. The idea is to funnel more money into City Hall's small business fund. We think this idea is fundamentally flawed and it will not deliver the kinds of small business residents say they want. kind of development; the Gap and Old Navy. Emeryville residents don't go here. We're still waiting for our locally serving retail. 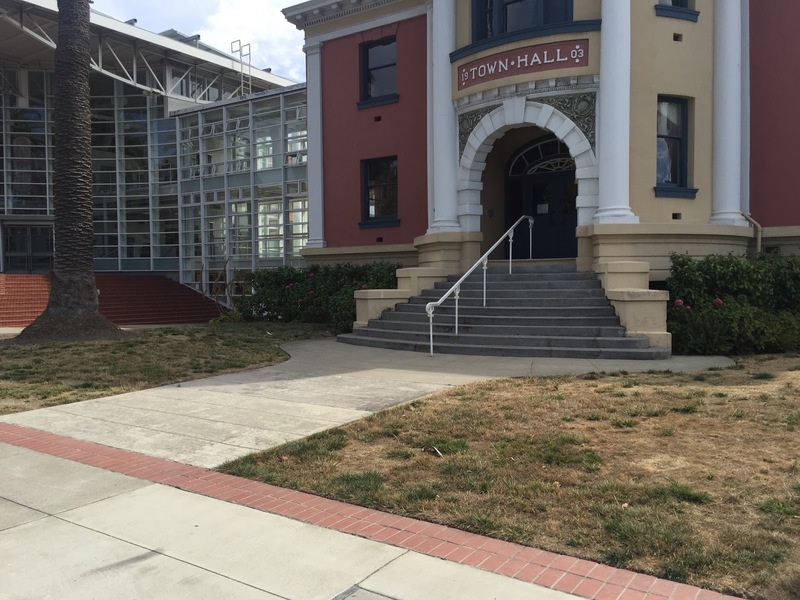 The Tattler has long urged the City Council to take up this cause and in their defense, they did try an experimental approach with the Promenade Project on San Pablo Avenue back some years ago. 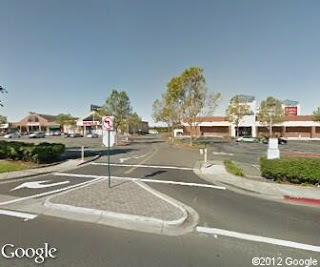 That shopping center was slated to become just another strip mall with formula fast food except Councilman John Fricke proposed the City directly intervene in the rental process in the newly built mall and offer reduced rent to desirable businesses by subsidy from the taxpayers. That is how Arizmendi Bakery was able to afford the rent there. Now, incidentally, Arizmendi is a success and making it on their own, the City subsidies having long since ended. But the problem with the City subsidies is that City Hall is ill suited to getting into the commercial landlord business. 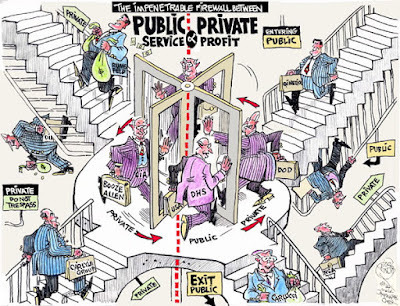 It's better to let the private sector do that. Clearly, the way to get the type of retail and other small business we want is to get the developers, the ones with the expertise and the money, to do it. Up until now, it's all been by verbal agreement. And that's where the breakdown occurs. The developers invariably tell the City they also want these locally serving non formula business renting the street front stores associated with their (usually residential) development proposals. The developers tell us they also want what Emeryville residents want before their project is approved. They assure the Council they'll work in good faith to secure leases for locally serving retail for their projects. We all know how that's been working out. The business that end up signing leases in the new store fronts are formula retail chains and fast food (because of the high rents associated with new construction). Perhaps even worse, the store fronts sit empty for years because the (residential) developer isn't interested in playing commercial landlord, the store fronts having been provided by them as a condition for approval from the City. before it approves the project. The only realistic way to deliver locally serving non formula retail and other small business that Emeryville residents want is simply to require developers to guarantee in writing this will happen. The resultant low rent receipts can be written off by the developer as a cost of doing business in Emeryville. Like everything else, it needs to be in the form of a written contract, not a verbal agreement that has no force of law. Rather than relying on some arcane or byzantine point system that isn't delivering the goods, Emeryville simply has to start demanding developers deliver what they say they will when it comes to small locally serving retail. The Political Action Committee known as EmPAC, used for more than a decade by Emeryville's right wing to consolidate and expand its political power, has quietly folded last week, ending the last vestige of the recently closed Emeryville Chamber of Commerce and bringing to a close an era of runaway development for the town. The termination of EmPAC ends speculation about whether the once powerful and widely recognized election game changer would continue on without its Chamber of Commerce progenitor and partner. 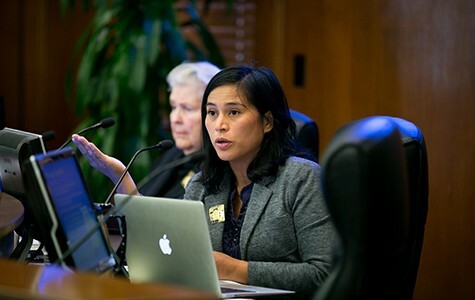 After the death of the Chamber of Commerce in August and with the rolling up of EmPAC, the business community in Emeryville is now left without any official local lobbying capacity and without a way to effectively and clandestinely influence City Council elections. The Chamber of Commerce invented EmPAC many years ago as a way for businesses and especially developers to secretly donate to City Council candidates of their choice. Before EmPAC, out-of-town developers with development proposals impending would have to give directly to the candidates of their choice at election time but rival candidates could and did make use of the donations by publicly 'outing' the contributors to draw votes away from the Chamber's candidate. In response, the Chamber introduced EmPAC. 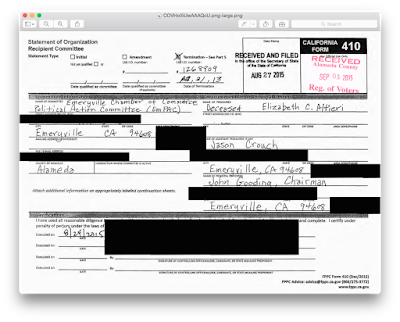 EmPAC made large corporate political campaign contributions in Emeryville much harder to trace in a direct way. As a consequence, EmPAC was used in every election to funnel lots of money to their candidates and in so doing, the outcomes of many elections were presumably changed. The left wing side in Emeryville has never made use of a Political Action Committee it should be noted, probably because their candidates generally receive small donations from Emeryville residents exclusively and as a consequence, there's no need for attempting to hide anything. It has been widely reported the rise of the resident activist group RULE brought great difficulties for the powerful and secretive Chamber of Commerce and EmPAC and grassroots democratic electioneering helped spell its end. With election season starting in a few months in Emeryville and given EmPAC's rousing past success however, the termination of EmPAC does not preclude a new right wing PAC from rising up to replace it if developers and the business community so deem it. The Alameda County Registrar of Voters received the 410 form officially disbanding EmPAC on September 3rd and Chamber members Jason Crouch and John Gooding were listed as assistant treasurer and principal officer respectively. Both those men have been heavily involved in Chamber and EmPAC business over the years including an unsuccessful attempt in 2005 to defeat Measure C, Emeryville's 'living wage for hotel workers' ordinance, an election that cost the group some $140,000. Will its demise bring a rise of transparency? candidates directly and openly like everybody else? 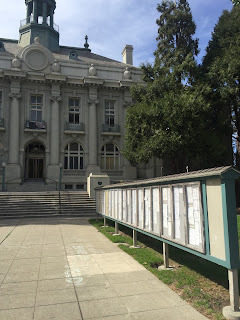 Emeryville's former city attorney Mike Biddle is now employed by the private law firm Burke, Williams & Sorensen LLP, the same firm hired by countless Emeryville developers and businesses over the years to push Emeryville projects that Mr Biddle ostensibly battled in the people's interest while he was employed at City Hall the Tattler has learned. Mr Biddle was forced out of his city attorney job last April and he still collects severance pay from Emeryville's taxpayers in addition to his pension from the City. The switch by the former City Attorney to the firm he previously fought against illustrates the sometimes chummy nature of would be adversarial attorneys interacting in the private sector and public sector. Mr Biddle's switching sides upon retirement is analogous to the infamous congressional rotating door that sends retiring former Congress members into the same lobbying firms they ostensibly did battle against while doing the people's work. Chummy perhaps but while Mr Biddle still worked for the City, Burke, Williams & Sorensen was hired to fight the City by Pixar, the East Bay Bridge project, Bay Street Mall developer Madison Marquette and others and his new partnership position at the shop of his former would be nemesis have caused some in town to question Mr Biddle's loyalty to the people's business says former City Councilman Ken Bukowski. Mr Bukowski headed up an unsuccessful ballot initiative, Measure F in 2011 to fire Mr Biddle for among other things, a reported lack of fealty to the City. Mr Biddle is still working for City Hall even after his retirement and independent of BW&S as a paid contractor and he has been retained by the City for work on the contentious Public Market project. Mr Biddle could not be reached for comment on his new employment situation. The East Bay's tiny development powerhouse is rethinking how it grows, with an eye toward building more affordable and family-friendly housing and funding public services. 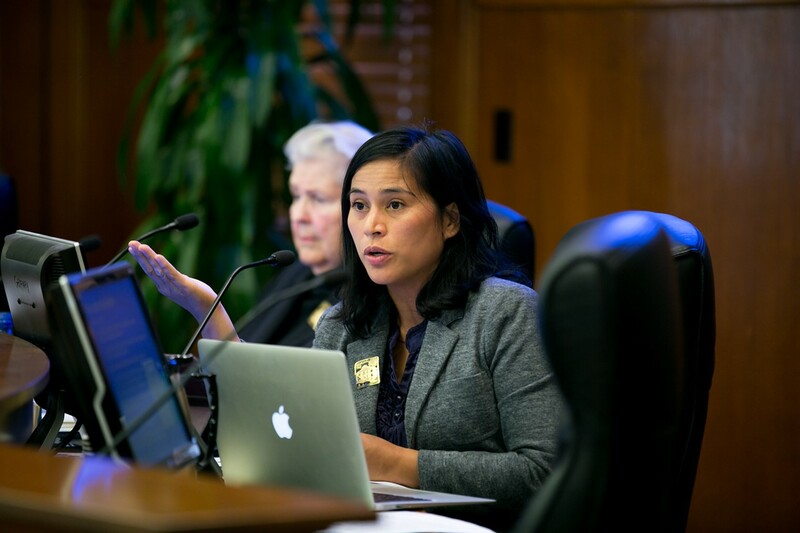 Dianne Martinez is one of three progressives that now hold a council majority in Emeryville. During the heyday of redevelopment, Emeryville was practically rolling in cash. An A-list of real estate developers lined up to build thousands of housing units and massive shopping malls. The compact East Bay burg, much of it a blighted and toxic landscape of hollowed-out factories, quickly morphed into a sparkling model of new urbanism. From 2000 to 2010, Emeryville's population expanded by 46 percent, but the city, a veritable growth machine, added housing faster than people, growing its stock by 56 percent. Emeryville's leaders took advantage of nearby Berkeley's aversion to big-box stores, adding retailers who generate millions in sales taxes. But growth under this regime created problems — problems that have mushroomed in recent years, threatening the social fabric of the city. Emeryville's redevelopment-era regime raised money based on the expected future tax revenues that new retail and housing would generate, and channeled these funds into building even more housing, retail, and office buildings through the city's redevelopment agency. But under the rules of redevelopment, new property tax revenues raised in the city's redevelopment zones — which covered a full 95 percent of Emeryville — couldn't be used by the school district, transit agencies, and other public agencies responsible for essential services. "Revenues just went back into more development," explained Emeryville Councilmember Jac Asher. "If you're building for a population that doesn't need or want schools, public transit, or more money for parks, that kind of financing makes sense, but what you end up doing is building housing and neglecting all those other things people need for a community." Emeryville resident Hayok Kay was beaten to death by an unknown assailant where she slept over the last couple of years; on the sidewalk on San Pablo Avenue in front of the CVS Pharmacy police said. Police are looking for the suspect in the horrific killing, Emeryville's first since 2012. 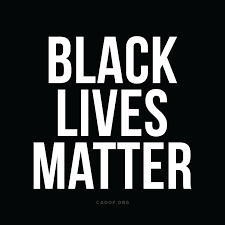 The beating took place early in the morning on July 6th and by the time Emeryville police arrived at the scene, Ms Kay was unconscious. She was taken to Highland Hospital in Oakland where she later lapsed into a coma from extensive brain injuries due to the attack and was pronounced dead on August 18th after doctors removed her from life support. A native of Seoul South Korea but a longtime Emeryville resident and fixture, Hayok Kay, 61, lived for many years without a home and at the margins in town. She performed as a drummer the '80's post punk band Polkacide and in several Bay Area all girl punk bands many years ago but more recently made her living by recycling in Emeryville and West Oakland. Ms Kay's gender and her small stature, unusual for people living with homelessness on the streets, made her well known by the clannish local recycler population, many of whom felt protective of her. After her partner, the landscape painter Fred Griffing died some years ago, she lost the shelter of the car she shared with him and was flung to the streets. 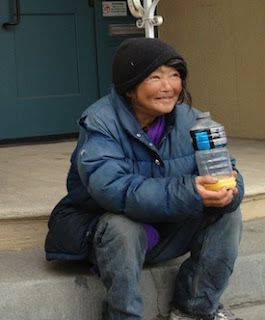 Hayok, known affectionately as 'Miss Kay' by her many friends was the subject of a recent film, Dogtown Redemption, on the lives of people living with homelessness in West Oakland and Emeryville. Sadly, film director and producer Amir Soltani was prescient in 2013 when, upon the release of his film, he predicted Ms Kay would not last long on the streets, "A diminutive and much diminished Asian-American woman, Miss Kay is easy prey. Amongst the recyclers, her chances of survival are by far the worst." The City of Emeryville has no policy or programs or shelter for people experiencing homelessness and they usually get pushed around town by police responding to complaints. The exposed sidewalks around CVS Pharmacy where Ms Kay was beaten to death is a place where encampments are common for people now after the City fenced off the nearby former bike/pedestrian path known as the Pixar Bike Path, a place people without shelter found attractive because of its relative off the street safety. Emeryville police refused to comment further on the case still under investigation by the Alameda County District Attorney. Employees of the Guitar Center store on Shellmound Street have filed complaints with the City of Emeryville alleging their employer is not paying them the proper wage as the new Minimum Wage Ordinance mandates the Tattler has learned. Employees say they're being paid $12.25 per hour and the store manager has violated the $14.44 per hour provisions mandated by the Ordinance for every Emeryville employer with 56 or more employees. The employees say the manager is telling the City the store formerly had more than 55 employees but he had fired enough of them before the new law took effect on July 2nd to bring down the number of employees to 55, the cut off point requirement between the two differing wages. The contention is that the store still has more than 55 employees according to the employees and that even if the manager was correct that he had fired the requisite number of employees, the Ordinance provides for employee counts to be averaged over the preceding fiscal quarter and that average for Guitar Center was in excess of 55 employees. The manager failed to understand how employees are counted by the City before he started firing them they allege. The Guitar Center is further violating the Minimum Wage Ordinance in other ways by misrepresenting the nature of its business the employees say. The manager is attempting to portray the Shellmound Street business as two businesses to the City in order to employ more than the 55 employee cut off by claiming a portion of the store, the so called 'Guitar Center studios', is a separate business they say. Further, the employees were not properly informed of their rights because the manager failed to post required documents they say. An employee complainant who wished to remain anonymous out of fear of reprisals from the store manager told the Tattler the employees at Guitar Center intend on forcing the store to obey the Ordinance and they expect to receive their legitimately earned back pay, "I was excited that the citizens of Emeryville agree with so many other Americans that people deserve to be paid a living wage. I find it disheartening that the Guitar Center is subverting that" the employee said of the new law and the manager's attempts to bypass it. Michael Guina, Emeryville's City Attorney said the City is actively taking up the issue, "We're in the initial stages of the investigation of the Guitar Center employee's complaints. 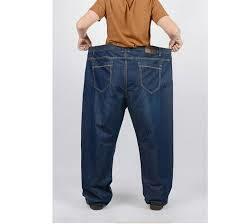 If we find evidence of wrong doing, we will work with the employer to make sure they comply with the ordinance". Guitar Center, which is majority-owned by private equity firms Ares Management and former Republican Party presidential aspirant Mitt Romney's Bain Capital, has had a long history of labor strife including union quashing. The Nation did an expose piece in 2013 on Guitar Center's employee mistreatment centering on low employee pay and sleazy tactics. The Emeryville store manager could not be reached for comment. 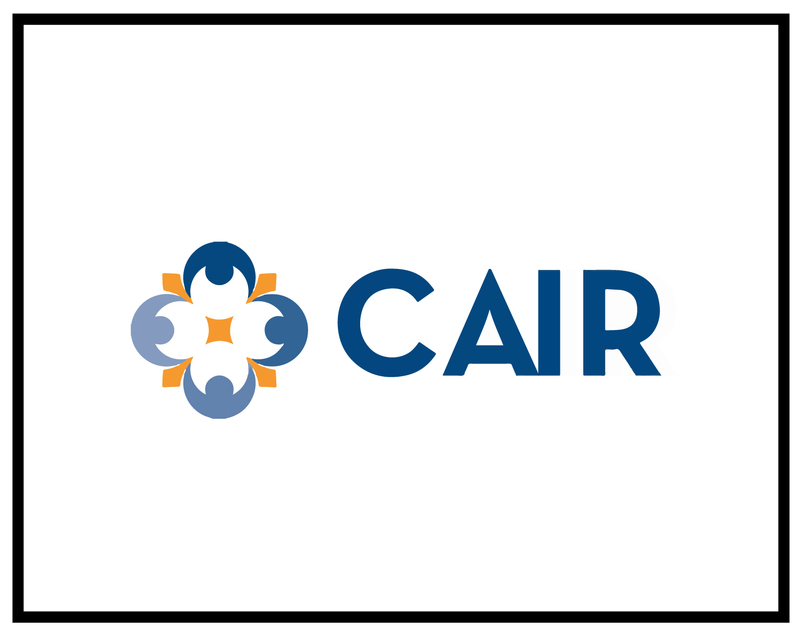 provide answers for his family and the community. 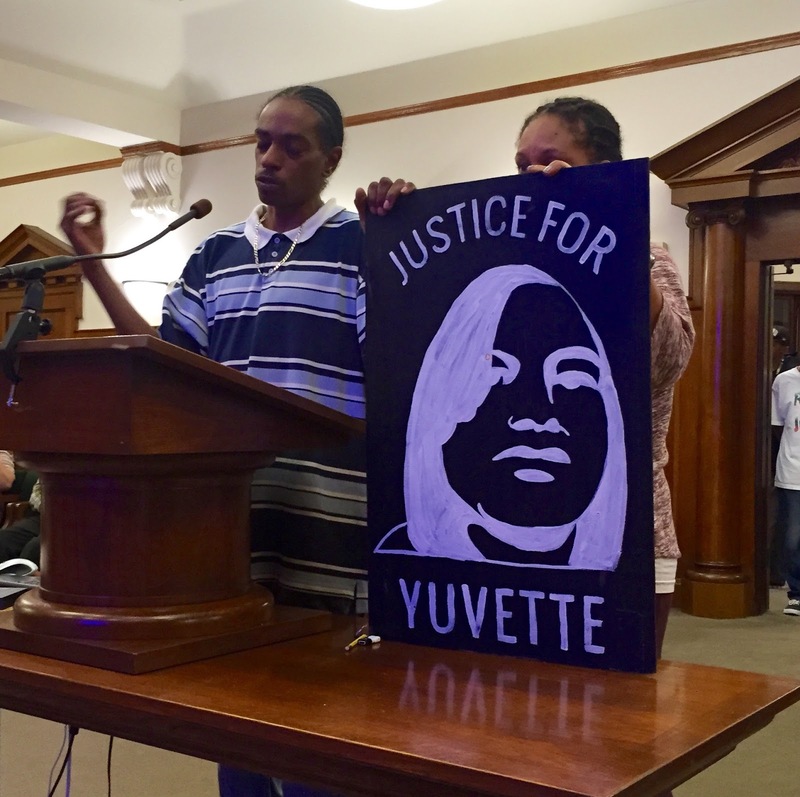 Approximately 75 people descended on the Emeryville City Council chambers tonight demanding justice for the killing of Yuvette Henderson earlier in the year by two Emeryville police officers. 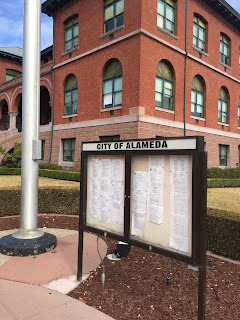 The majority of speakers asked the Council at the regularly scheduled meeting, to use their power to urge the Alameda County Coroner's Office to release their report on the February 4th shooting. The shooting has been a continuing source of frustration and activism for many in the greater community and supporters have not let up in their demand for the release of the coroner's report as well as the Emeryville and Oakland police reports on the shooting. Many speakers excoriated the City for militarizing the police here. Ms Henderson, an Oakland resident and grandmother, was brought down in a hail of Emeryville police bullets just across the Oakland border from at least two weapons including an AK-47 military style assault weapon according to speakers tonight.